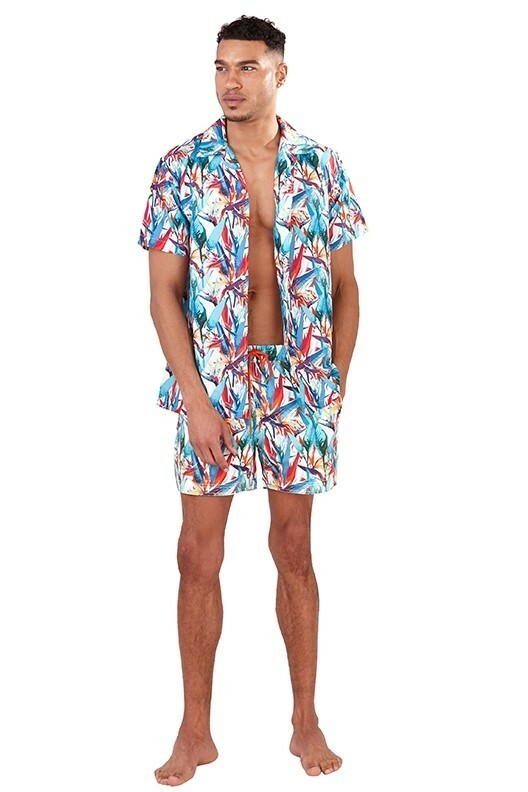 South Beach Men's Recycled Tropical Floral Print Swim Shorts. Also available in a matching all over printed shirt! Perfect addition to any Men's Holiday Shop!